Technical education and vocational training authority is working from last many years with the mandate to train youth with technical education. TEVTA provides opportunity to large range of young people to get them trained from TEVTA institutes. Many projects of TEVTA are purely sponsored by government in which not only the education but stipend is also given to attract young persons. TEVTA has been in collaboration with abroad institutions for investing in its infrastructure and training facilities. Some initiatives have also concluded in which trained youth batches have been sent abroad to serve in foreign companies. Now, Qingdao Hengxing University of Science and Technology China has joined hands with TEVTA: the University will send master trainers to train the youth with Chinese language. Apart from trainers, the University will also help TEVTA to provide technical education in construction sector. 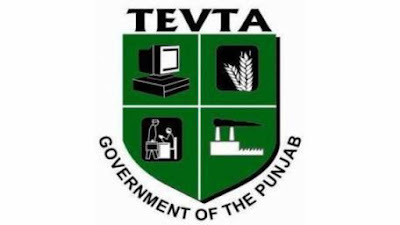 The pact was concluded in the meeting of TEVTA chairman Irfan Qaiser with delegation of Kingdao Hangzing University of Science and Technology China in TEVTA Secretariat. In the delegation, chairman of the University, Dr. Chen Changjin sorted out the details and he accompanied with Wang Zi Hai and Fa Liang Shan. Chairman, Irfan Qaiser talked with media and briefed them that TEVTA has already offered two types of courses based on time duration for the promotion of Chinese language in the province. A three month course is designed for general public along with four month course for business community. He also hoped that with the language proficiency, the trained labor will attract Chinese construction companies to hire Pakistani labor in projects that are going to be started in Pakistan. The Chinese Pakistan economic corridor is a set of many project which is going to be start with 46 billion $ Chinese investment, the road construction phase has already been started and companies are setting foots in Pakistan to kick off the work. Normally, it has been seen that the Chinese companies bring their own labor for the works because the local persons are not trained with sound technical education and the main barrier is the language which they cannot understand. A series of projects will now need large number of technical labor and at last the companies have to train and recruit local labor. The TEVTA role here is crucial: they should act fast so that companies again don’t have to rely on their countrymen force. The chairman also said that with passage of time the course will be offered in Rawalpindi and Faisalabad but now it is offered only in Lahore. The main aim of course is to train those person who want to get job in Chinese companies, working on construction projects in Pakistan. Also this will be helpful in getting employment in China’s growing economy. The other purpose is to equip the labor who is already skilled and only lacks the language proficiency to gain employment in Chinese market and also in countries where Chinese language is understandable.